My thanks to George Gershwin for penning such a memorable, time lasting song and one that presents a great segue to this particular post. 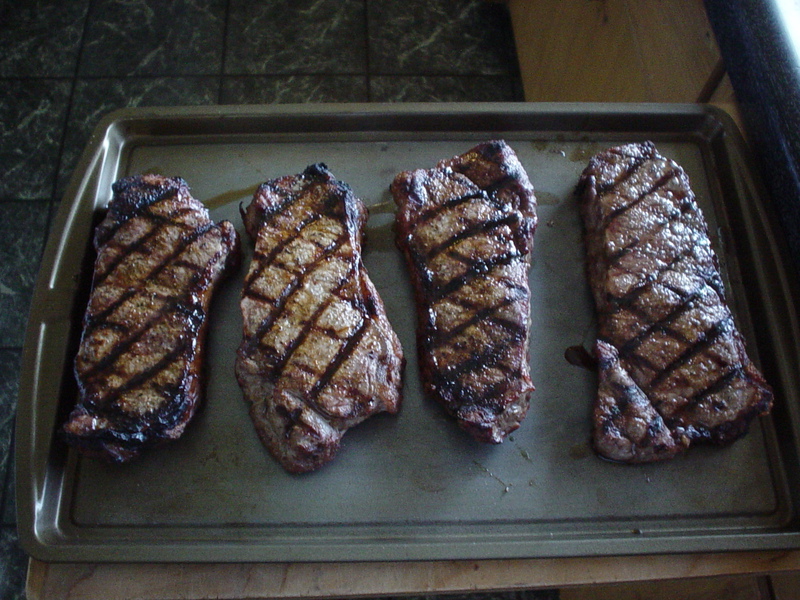 I wanted to start this particular blog with one of my all time favorite things to grill on the BBQ and that is STEAK. I chose steak for a couple of reasons and the main ones are that I am not supposed to eat red meat anymore, for health reasons,but when I do it’s steak and that in the past couple of years I have had some terrible experiences with steaks that were prepared by “experts”— that means restaurant chefs folks. So with that being said I present to you “The Perfect Steak” as taught to me by a local chef in the one and only cooking class I have ever taken and this particular method has served me well over the years and as such I would like to give a nod to “Chef Maribel” The Food Diva for the opportunity to learn this from her. – Place on a hot grill ( I usually go with 350 degrees). – After approx. 4 minutes give the steaks a half turn and leave for another 4 minutes This will give you the nice grill marks that everyone just loves to see on their steaks. – When finished cooking pull the steaks from the grill, place a dab of Blue Cheese on each, tent with tin foil and let rest for approx. 10-12 minutes. If using a cheese, blue or otherwise, it will melt during the resting time. * Tenting the steaks allows the juices to re-distribute back through the meat and they will be nice and juicy when you cut into them and juice equals flavor. Oh and…. If you are like my daughter and you don’t like Blue Cheese then don’t use it. Other sauces or condiments work just as well. I’ve found that approximately 8 minutes a side will give me the doneness I want which is medium. Adjust your time based on your preferrence.